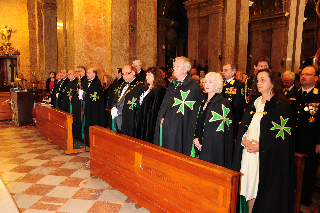 After the eighteen highly successful investitures which the Hospitaller Order of Saint Lazarus of Jerusalem carried out under the jurisdiction of the Grand Priory of the Mediterranean, the time finally arrived when, as per the decree of the Supreme Grand Priory of the Order, all the regions which previously were under the administration of one Grand Priory were to be consecrated as individual Grand Priories in order to further stimulate their growth in their respective jurisdictions. 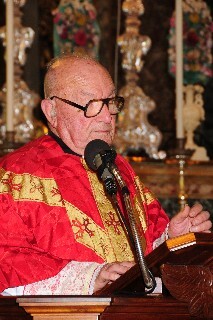 On the 24th of April 2010, in the main square of Malta's capital, Valletta, the biggest ever convocation of Lazarites to date were called to attention by the Deputy Chancellor - elect of the Grand Priory of Malta so as to solemnly proceed to the spiritual home of the Grand Priory of Malta, the Basilica of Saint Dominic the Great. 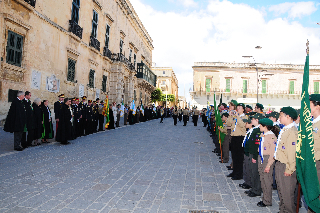 Hundreds of Grand Officers and Officers of the Order, Knights and Dames, members and postulants of the Order together with distinguished guests and dignitaries were given the traditional salute by a stirring display of Maltese Scouters who are all active in the on-going partnership between the Scout Movement and the Order of Saint Lazarus. 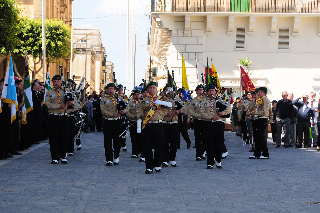 The procession then marched in a solemn manner to the Basilica of Saint Dominic the Great, where the Grand Priors elect of the Grand Priory of Malta and the Grand Priory of Gozo, the Most Reverend Monsignor Anton Gauci ECLJ CMLJ and the Most Reverend Monsignor Joseph Vella Gauci SChLJ respectively were eagerly awaiting the procession led by Chev. 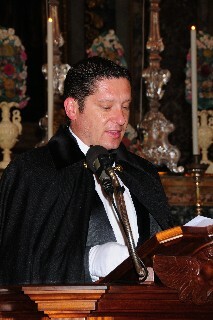 William Acton KLJ, the Deputy Marshal of the Grand Priory of Malta. 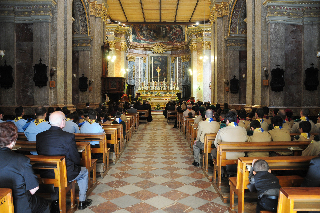 Thus commenced the celebration of mass at the Basilica, with a Lazarite congregation which was more than three hundred strong and which filled the temple to capacity. 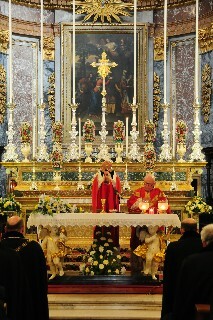 The congregation included Lazarite dignitaries from Malta, Gozo, Italy, Tripolitania, Austria, Ukraine, Kazakhstan, England, South Africa and various other jurisdictions in which the Order is active. 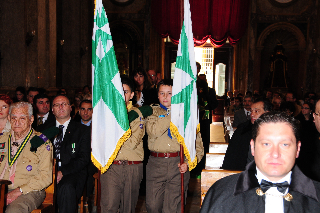 The investiture was indeed a long but beautiful event, aptly set in the solemn atmosphere of the Hall of Investitures in the Basilica. 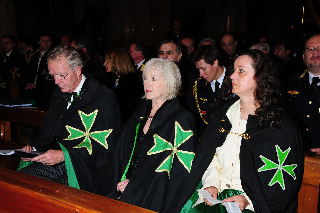 With literally no space to manoever due to the knights and dames present for the investiture, the ritual of the investiture had to cater for the consecration of the above mentioned new Grand Priories and the investing of office of 21 new officers of the respective Grand Priories. 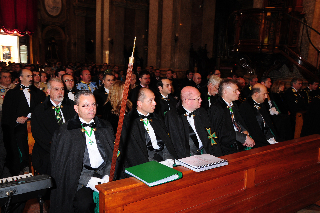 The Investiture included fifteen new postulants, five of which were admitted into the Order in the rank of Members of the Order (MLJ), six postulants were given the vows of Officers of the Order (OLJ), three postulants were admitted into the Order in the rank of Commanders of the Order (CLJ) and a further postulant was solemnly knighted and admitted to the higher rank of Knight of Grace of the Order (KLJ). 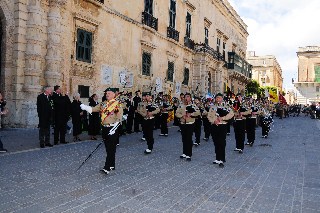 Furthermore, the respective Chancellors of the newly consecrated Grand Priories also successfully petitioned for a number of promotions on behalf of active members of the Order in Malta and Gozo. 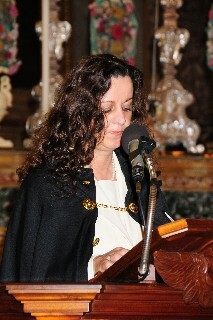 Therefore, the Investing Officers led by the Grand Chancellor of the Order, Chev. 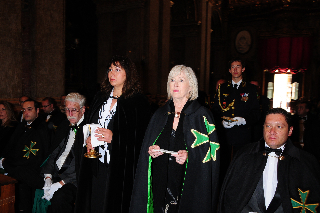 Max J Ellul GCLJ GCMLJ and the Grand Marshall of the Order, H.E. 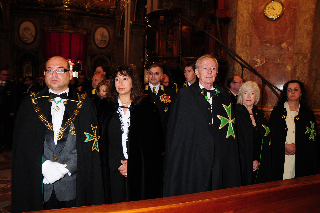 Chevalier Steven Groeneveld GCLJ, promoted five worthy officers of the Order to the rank of Commanders of the Order (CLJ). 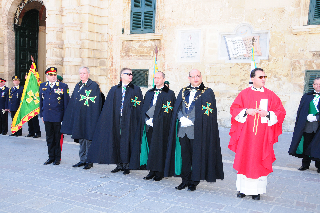 The Commandery of La Valette of the Grand Priory of Malta also saw the raising and knighting of Chevaliers Robert Farrugia, Michael Angelo Callus and Arthur Vassallo to the exalted rank of Knight of Grace of the Order (KLJ). 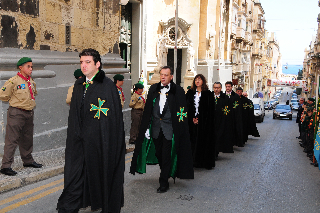 The Grand Priory of Gozo also proposed and conducted the knighting of Chevalier Ancel Farrugia Migneco to the rank of Knight of Grace of the Order (KLJ). 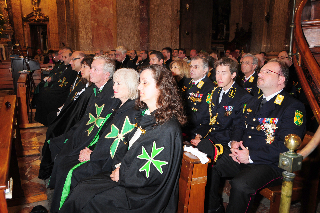 The final promotion was conducted by the Grand Marshal of the Order who promoted the Custodian of Insignia of the Grand Priory of Malta, Dame Christabel Ellul Saliba to the exalted rank of Dame Commander of Grace of the Order (DCLJ). 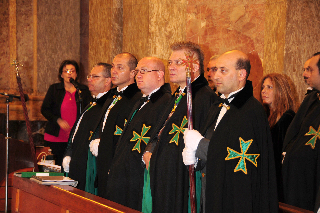 A further record amount of eighteen postulants hailing from all over Malta and Gozo were also admitted into the Companionate of Merit of the Order of Saint Lazarus in the grade of Officers of Merit of the Order. 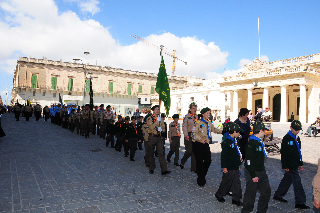 These worthy postulants hail from all walks of life, including the Deputy Mayor of Zebbug, Malta, councillors and executive secretaries of various municipal entities, Group Scout Leaders and their assistants and other dignitaries. 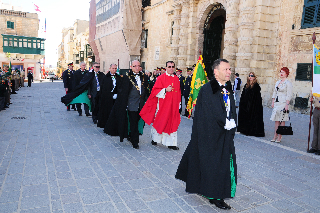 During the investiture, the Ecclesiastical Commander of the Order was presented with two new banners hailing from the Grand Priory of Gozo for his blessing. 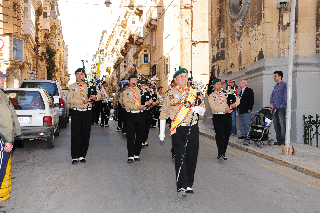 After the investiture, the members and their guests all congregated to the Excelsior Hotel in order to celebrate the investiture luncheon together. 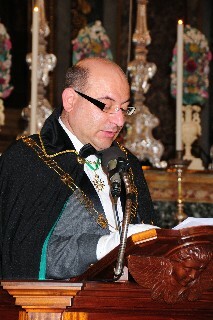 It was indeed a marvellous closing chapter for the Grand Priory of the Mediterranean and certainly an investiture which augurs well for the independent Grand Priories which were duly formed in this unique event.